Updated Monday July 2, 2018 by Sarah Rachor. Keeping score in baseball is an art. There are many ways to do it, some more complex than others. It all depends on what you want to achieve as an end result. The following guide has been created for the purposes of scorekeeping here at Battle Ground Little League. 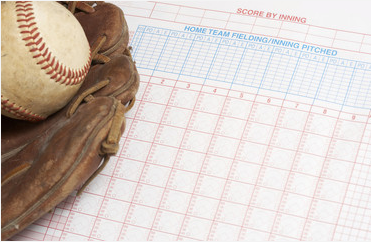 It will cover the basic scorekeeping techniques that we use to keep records of games played. If you want to be able to produce all sorts of statistics from a scorebook this guide will most likely not cover all you need to know. However, if your intent is to scorekeep for a little league game, then you are in the right place. Thank you for your willingness to be a scorekeeper!